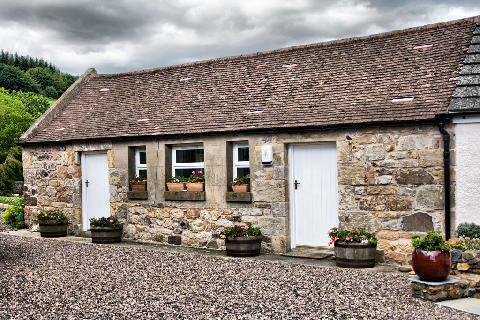 Located just over a mile outside Aberdour, with stunning views across the Firth of Forth to Edinburgh, we opened for business in JULY 2012. Semi detached from the main house, the ground floor stone building was originally an old dairy that has recently been refurbished. It has its own separate entrance. Peace and tranquility prevails within! We supply a continental style breakfast allowing our guests the freedom of preparing breakfast at their leisure but the best thing is you do not have to wash up! We shall do that for you!